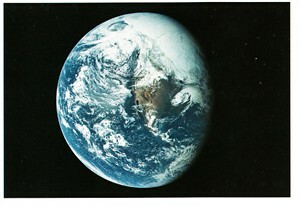 Apollo 16 View of Earth postcard issued by NASA as part of a 1994 set. MINT. ONLY ONE AVAILABLE FOR SALE.